Schrade Leather Professionals Leather Slap 10.2oz. | BUDK.com - Knives & Swords At The Lowest Prices! Schrade Leather Professionals Leather Slap 10.2oz. Small and inconspicuous, this leather slap can pack a punch with even the smallest amount of force behind it. Slaps are leather covered hand weapons used professionally by law enforcement. 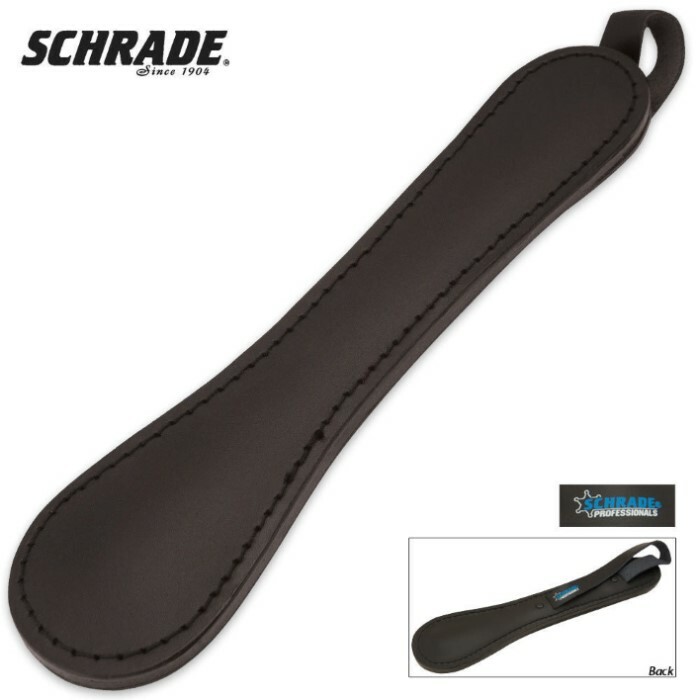 This Schrade leather slap is constructed of leather and measures 10" overall. This Slap is able to resolve any conflict!